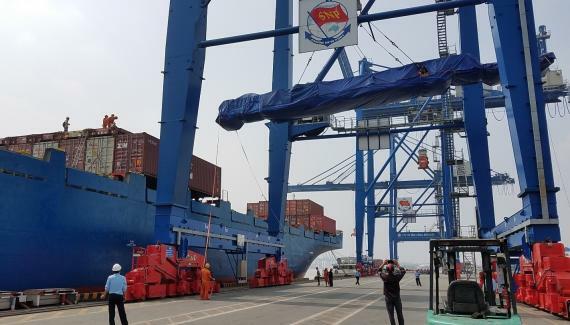 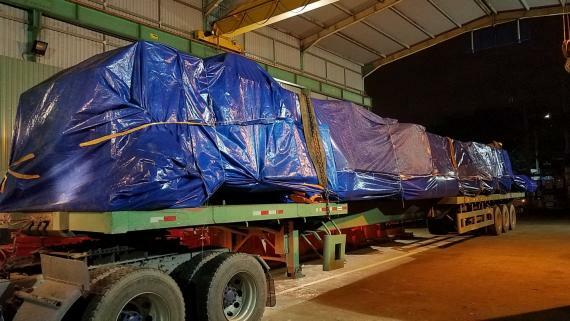 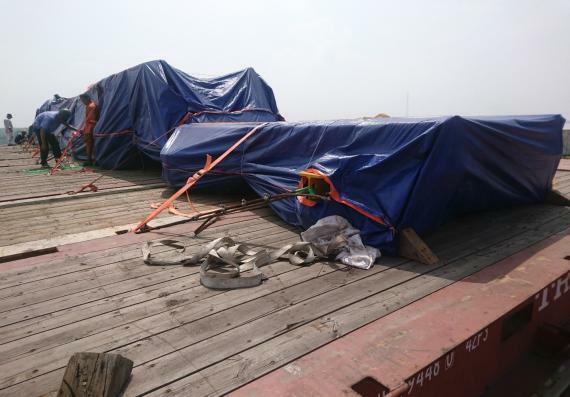 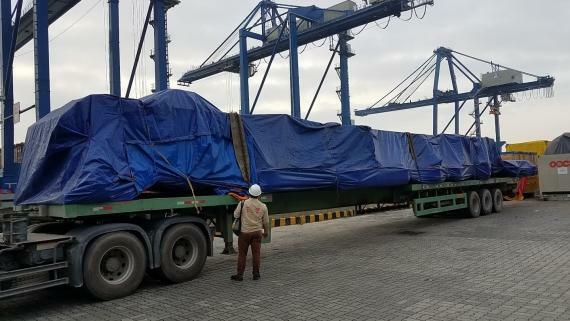 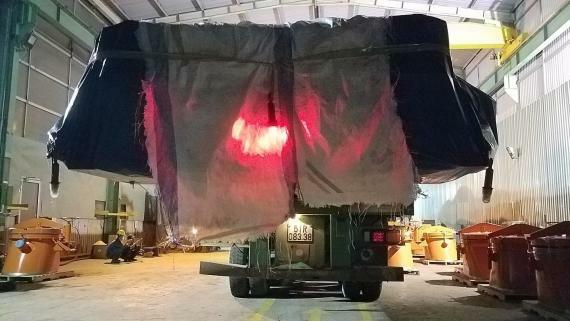 Members in Vietnam since 2010, Cuchi Shipping have transported the over-length cargo pictured in the gallery below from the factory to Saigon Newport and handled the loading onto a container vessel for sailing to Busan in South Korea. 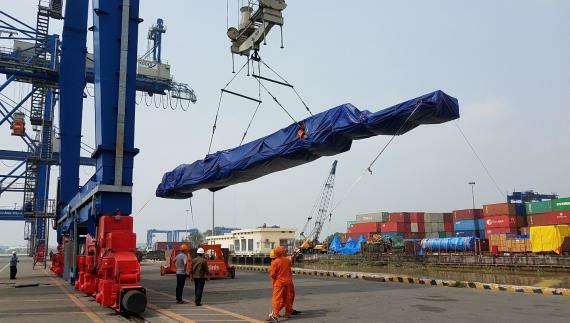 The cargo of a catwalk support frame had dimensions of 23.0 x 2.8 x 2.1m and weighed 21,810kg. 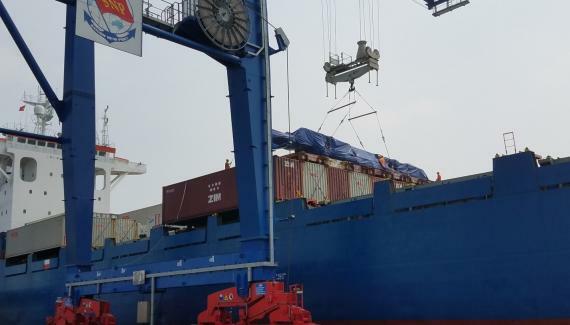 CEO & President of Cuchi Shipping, David Tuan Nguyen comments; "Our solution to ship this long piece of cargo was to use 10 x 40'FR to make a suitably sized flatbed on the OOCL container vessel".